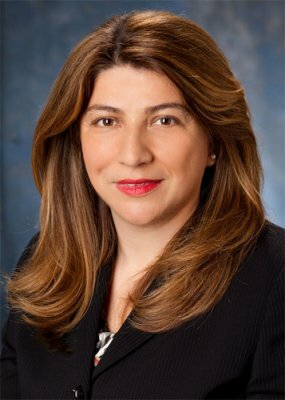 Dr. Ahu Yildirmaz leads the ADP Research Institute, a specialized group within ADP that provides insights to leaders in both the private and public sectors on current and emerging issues in human capital management, employment trends, and workforce strategy. The Institute leverages ADP’s deep expertise across the entire spectrum of human capital management, as well as insights gained from ADP’s approximately 600,000 clients and its 20M+ employee sample, to conduct research that illuminates the crucial trends shaping today’s working environments. Additionally, Dr. Yildirmaz is responsible for managing the world-renowned ADP National Employment Report, a monthly measure of U.S. employment derived from an anonymous subset of roughly 350,000 U.S. business clients. She also manages the The ADP Regional Employment Report which measures monthly changes in regional non-farm private employment on a seasonally adjusted basis, and the ADP National Franchise Report which measures monthly changes in franchise employment and is derived from ADP’s actual transactional payroll data. Throughout her career, Dr. Yildirmaz has approached her research with a global mindset, having lived and worked in Central Asia and Europe. 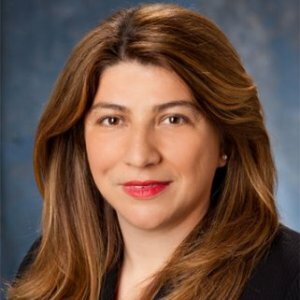 Prior to joining ADP in 2011, Dr. Yildirmaz held a number of roles at Johnson and Johnson and AT&T in the areas of strategy, corporate finance and market research. She also lectured and taught several economics and finance classes within the Economics Department at New York University (NYU) and the City University of New York (CUNY). Dr. Yildirmaz earned a doctorate degree in International Economics from the Graduate Center of the City University of New York and a bachelor’s degree in economics from Bosphorus University in Istanbul, Turkey. The ADP Research Institute has used its proprietary research database to identify critical economic trends in the cost and composition of the part-time workforce, including the professional part-time workforce, and its role as part of the total U.S. workforce. With trend data in hand, look at potential impacts associated with health-care reform and proliferating leave administration, and walk through some different scenarios around the future cost of the part-time workforce. The Affordable Care Act (ACA) will significantly impact how employers handle employee benefits. The way employers respond to these reforms will affect the extent of the impact on their companies. Informed employers can begin taking action now to manage the effect of the ACA’s shared responsibility requirement on their financial and human capital resources. As keynote speaker at the PhD Project annual conference, Dr. Yildirmaz speaks about her experience earning her PhD in economics and how it applies to the business world. The PhD Project is a network and support system for minorities pursuing doctoral degrees in Business.